First of all Marsala is the name of the color for spring 2015. This color was select before an investigation of tendencies in the fashion runways. Probably is the art, cinema, sports, technology wearable, jewelry, etc. This color is a mix of red and terracotta. The color was select at the beginning of the millennium not by causality. Instead of that was select as a color that represents the creativity, enriching our mind, body and soul, providing confidence and stability. 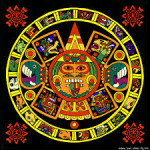 No wonder the coming of the millennium gives to human beings the knowledge of the coexistence of those aspects as soul, body and mind separately looked not so long ago. Also it could be use this reddish brown color name MARSALA for industrial design, furniture, for beauty and fashion as well. Even more sophisticated and neutral color created for spring of 2015 could be mixed with gray, golden yellows, turquoise, bright blues, pink peach. Marsala is a color that favors every skin. The color is not only a physic attribute. In this case garments, jewelry, furniture, but also a source of experience, and emotional behavior reaction. The chromatic signals go throw the limbic system where emotions live. Pictures are a group of colors putting in that way producing emotions and sensations in their creators. (Here we have the Cubism as we write about represented on Balenciaga designs, for example). For same designers this canvas surface as picture, fabric, etc. has no limit. Eventually in which designers could let fly their imagination inspired on the grate and enormous pictures. Seems like history leaves for contemporary artist. Those great pictures were recreated by designers in the creation of garments, accessories, jewelry, in a new vision of their art. Its impact on daily life, itself an escape from emotion that projects the nature of our deepest feelings. For the artist there has not limits for creativity. Then the fashion is a complement and an influence of the picture. Fashion appreciat through trends and vanguards. Those pictures the history brings to designers renovate their precepts. They influences on the runways of the capitals of the fashion as Italy, New York, Paris, and so on. The fashion designers inspire on pictures are responsible to create the atmosphere that can conduce to some place or contemporary time. Designers must have the ability of mix style with beauty with the use of color, shapes, feelings, recreating some famous pictures. Likewise as did Yves Saint Laurent with “The Girasols” of Van Gogh. With the Cubism Yves Saint Laurent keeps the spirit of Picasso. 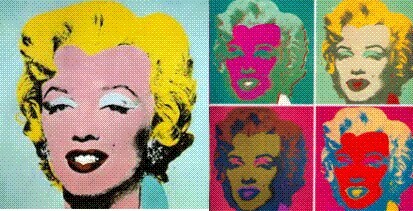 Andy Warhol recreating the icon of Marilyn Monroe with colorful as she represent her beauty and sensual style as a way of life. John Galliano inspired on Monet’s picture colors recreated with the pastels colors the nature of the impressionism. Alexander Mc Queen inspired on the imaginary world of geometric figures as a mosaics of the Holland artist Escher. 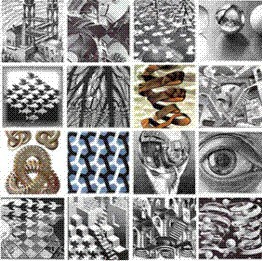 Finally this talent Holland artist named Escher creates effects with mixture of drawings. He create through a unique geometry and relevant way was an artist whose work Alexander Mac Queen wants to recreate.